Hodder & Stoughton, 2005, Hardback in Dust Wrapper. Condition: Very Good - in Very Good DJ. Top edge of the DJ slightly ruffled, notably so at the top corners. Text bright and tight. 2nd Reprint. [First: Same Year] Illustrated with colour photographs. From the cover: “Worshipped by England fans, and admired by cricket lovers everywhere for his big-hitting, fast-bowling style, Flintoff is the charismatic, hugely popular face of the modern game. His development has been spectacular — he was England’s star performer at the 2003 World Cup, Man of the Series against the West Indies the following winter, and is now regarded as his country’s finest all-rounder since lan Botham. 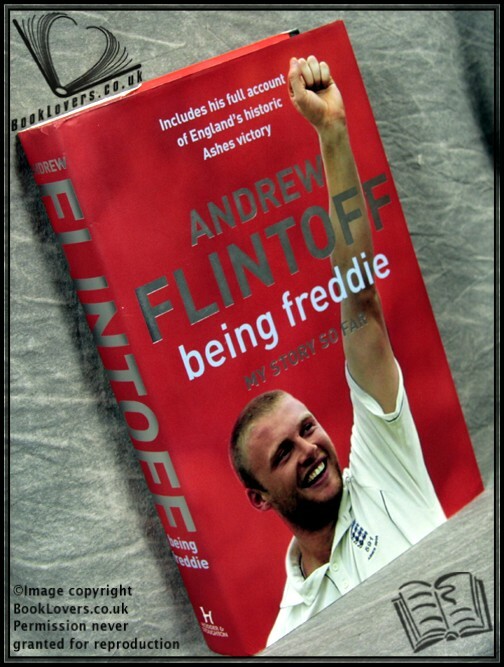 Flintoff’s greatest and most recent successes have come against the old enemy, Australia, in a 2005 Ashes series that captured the hearts and minds of a nation. Over a quite sensational summer, Flintoff was at the centre of everything, scoring runs and taking wickets at a phenomenal rate, and hailed as a hero for his part in English cricket’s greatest ever triumph. Size: 9½" x 6¼". Red boards with Silver titling to the Spine. 315 pages.